Do you want to know Barrackpore-Azamgarh Weekly Express Train timings & schedule? Are you looking for Barrackpore-Azamgarh Weekly Express Train details? Do you want to know the names of railway stations where Barrackpore-Azamgarh Weekly Express Train will halt (stop)? Barrackpore-Azamgarh Weekly Express Train has been introduced on 5th February 2013. But, this weekly Barrackpore-Azamgarh Express Train will be available on & from 11th February 2013 from Barrackpore Railway Station and 12th February 2013 at Azamgarh Railway Station. This Barrackpore-Azamgarh Weekly Express Train will halt (stop) at few railways stations like Naihati, Bandel, Burdwan, Asansol, Hajipur etc. So, from now on people get another express train towards Durgapur, Asansol, Chittaranjan, Chapra from Kolkata (Barrackpore) & Azamgarh. Let’s check out every details of Barrackpore-Azamgarh Weekly Express Train which will connect Kolkata & Azamgarh once every week. Barrackpore (Kolkata) Railway Station 12 noon. Burdwan Junction Railway Station 2:09pm. Asansol Junction Railway Station 4:10pm. Jesidi Junction Railway Station 5:42pm. Barauni Junction Railway Station 9:25pm. Chapra Junction Railway Station 2:25am. 13137 UP Barrackpore-Azamgarh Weekly Express Train is going to stop (halt) Naihati, Bandel, Durgapur, Chittaranjan, Madhupur, Jhajha, Keul, Hajipur, Shonpur, Balia and Mou Railway Stations along with the above mentioned stations on its route to Azamgarh from Barrackpore. Azamgarh Railway Station departure time of Barrackpore-Azamgarh Weekly Express Train – 8am. Chapra Junction Railway Station departure time of Barrackpore-Azamgarh Weekly Express Train – 12 noon. Barauni Junction Railway Station departure time of Barrackpore-Azamgarh Weekly Express Train – 5:05pm. Jesidi Junction Railway Station departure time of Barrackpore-Azamgarh Weekly Express Train – 8:13pm. Asansol Junction Railway Station departure time of Barrackpore-Azamgarh Weekly Express Train – 10:50pm. Burdwan Railway Station departure time of Barrackpore-Azamgarh Weekly Express Train – 1:05am. Barrackpore (Kolkata) Railway Station arrival time of Barrackpore-Azamgarh Weekly Express Train – 3:05am. 13138 DOWN Azamgarh-Barrackpore Weekly Express Train is going to stop (halt) Naihati, Bandel, Durgapur, Chittaranjan, Madhupur, Jhajha, Keul, Hajipur, Shonpur, Balia and Mou Railway Stations along with the above mentioned stations on its route to Barrackpore (Kolkata) from Azamgarh. Barrackpore-Azamgarh Weekly Express Train has one AC Two Tier, one AC Three Tier, five Sleeper Class, Six General 2nd Class and two SLR/SLRD coaches. Tatkal Tickets of Barrackpore-Azamgarh Weekly Express Train will also be available. Are you looking for special trains for Ganga Sagar Mela from Sealdah (Kolkata) station? Do you want to know the Special Local Train Timetable from Sealdah & Namkhana during Ganga Sagar Mela? Eastern Railway has introduced Special Local Trains from Sealdah (Kolkata) to Namkhana, Kakdwip & Lakhikantapur for 2013 Ganga Sagar Mela for the people visiting Gangasagar. Thousands of people used to visit Ganga Sagar Mela by bus & train every year from Kolkata. Buses towards Gangasagar are available from Esplanade (Dharmatala) bus stand of Kolkata and local trains are from Sealdah (South) section. During Ganga Sagar Mela, Eastern Railway adds few extra local trains towards Namkhana [last railway station towards Gangasagar] every year. Eastern Railway has announced total seven Galloping EMU Gangasagar Mela Special Local Trains from Sealdah (Kolkata) station from 12th January 2013 to 16th January 2013. It means, during 2013 Gangasagar Mela total of 7 galloping Local Trains will be available for 5-days in Sealdah – Lakhikantapur – Namkhana route. All these 2013 Gangasagar Mela Special Local Trains (UP & DOWN) are galloping trains and will stop only at Sealdah, Ballygunje, Sonarpur, Baruipur, Lakhikantapur, Nischintapur, Kakdwip & Namkhana stations. These special trains are only available on 12th, 13th, 14th, 15th & 16th January 2013. Those trains of Sealdah-Namkhana-Lakhikantapur route normally cancelled on ‘Sundays’ will also be available during Ganga Sagar Mela. Check the Local Train Timetable of Sealdah - Namkhana station that are available on every day. Kolkata (Sealdah) to Puri (Odisha) Duronto Express Train Timetable Timings Chart, Departure Arrival Timings Schedule of Sealdah Puri Duronto Express Train, Ticket Price Fare Book Tickets online, Puri Sealdah Duronto Express Train details. Puri is known for its beautiful Sea Beach and world famous Jagannath Temple. This is why, so many people across India & outside India visits Puri often. 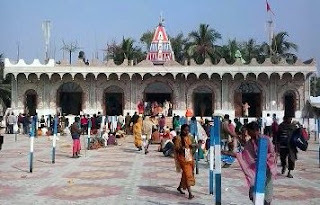 Kolkata & West Bengal people are among those tourists who every now & then make their trip to Puri. This is why various Trains between Puri, Bhubaneswar & Sealdah, Howrah (Kolkata) are there. There are few trains from Kolkata to Puri but those trains take a bit time to reach Puri from Kolkata. This is why, most of the people look for Sealdah-Puri Duronto Express from Kolkata or from Puri to save their precious time. Can you imagine, Sealdah-Puri Duronto Express Train takes only 8 hours to complete its journey of 530kms (distance between Sealdah to Puri). • Sealdah to Puri Duronto Express Train is available at Sealdah Railway Station of Kolkata on Monday, Wednesday & Friday. • Puri to Sealdah Duronto Express Train is available at Puri Railway Station of Orissa on Tuesday, Thursday & Saturday. • Sealdah to Puri Duronto Express Train departure Time at Sealdah (Kolkata) is 8pm and the Arrival time at Puri Station is 4am (next day). • Puri to Sealdah Duronto Express Train departure time at Puri Station is 7:50pm and the Arrival time at Sealdah Station is 4am (next day). • Sealdah-Puri Duronto Express Train Ticket Price – Rs.1075 for AC 2-Tier, Rs.815 for AC 3-Tier and Rs.325/- for Sleeper Class. So, enjoy your safe & fast ride to Puri from Kolkata (vice-versa) in Sealdah-Puri Duronto Express Train, which has total of 15 Coaches (AC 2-Tier – 1, AC 3-Tier – 4, Sleeper Class-7, Pantry Car-1, Luggage & Guard Van-2), at an affordable price. Budge Budge Local Trains Sealdah South Time Table Sealdah Budge Budge EMU Local Trains Timings Sealdah Budge Budge List of Local Down Train Starting Time Schedules Sealdah Budge Budge Station Timetable Morning Noon Afternoon Evening Night First last Down Local Trains from Budge Budge Railway Station to Sealdah South Rail Station Kolkata. • First Local Train from Budge Budge to Sealdah starting time: 4:48. • Local Train from Budge Budge to Sealdah starting time: 5:48. • Local Train from Budge Budge to Sealdah starting time: 6:35. 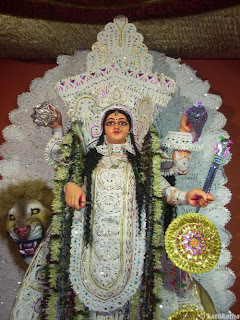 • Local Train from Budge Budge to Sealdah starting time: 7:12 (Budge Budge to Barrackpore Station Local Trains). • Local Train from Budge Budge to Sealdah starting time: 8:05. • Local Train from Budge Budge to Sealdah starting time: 8:25. • Local Train from Budge Budge to Sealdah starting time: 9:05. • Local Train from Budge Budge to Sealdah starting time: 9:34. • Local Train from Budge Budge to Sealdah starting time: 10:23. • Local Train from Budge Budge to Sealdah starting time: 10:55. • Local Train from Budge Budge to Sealdah starting time: 11:25. • Local Train from Budge Budge to Sealdah starting time: 11:58. • Local Train from Budge Budge to Sealdah starting time: 12:52pm. • Local Train from Budge Budge to Sealdah starting time: 13:30. • Local Train from Budge Budge to Sealdah starting time: 14:05 (Budge Budge to Naihati Local Trains). • Local Train from Budge Budge to Sealdah starting time: 14:20. • Local Train from Budge Budge to Sealdah starting time: 14:58. • Local Train from Budge Budge to Sealdah starting time: 15:32. • Local Train from Budge Budge to Sealdah starting time: 16:19. • Local Train from Budge Budge to Sealdah starting time: 17:00. • Local Train from Budge Budge to Sealdah starting time: 17:52 (Budge Budge to Naihati Train). • Local Train from Budge Budge to Sealdah starting time: 18:12. • Local Train from Budge Budge to Sealdah starting time: 19:00. • Local Train from Budge Budge to Sealdah starting time: 19:28. • Local Train from Budge Budge to Sealdah starting time: 20:12. • Local Train from Budge Budge to Sealdah starting time: 20:55. • Local Train from Budge Budge to Sealdah starting time: 21:40. • Local Train from Budge Budge to Sealdah starting time: 22:18. • Local Train from Budge Budge to Sealdah starting time: 23:03. • Last Local Train from Budge Budge to Sealdah starting time: 23:55. The EMU Local Train Code of Budge Budge to Sealdah is ‘SG’, Budge Budge to Naihati Trains code ‘BN’ and the Budge Budge – Sealdah (South) Train Route goes through Budge Budge, Nungi, Batanagar, Majherhat, Dhakuria, Ballygunge, Park Circus and Sealdah Station.